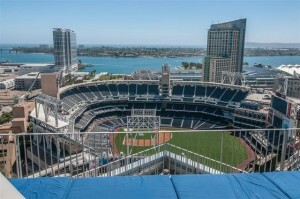 I have been asked several times about how we were able to sell ICON unit 403 in Downtown San Diego for FULL PRICE. Per the media, we were deep inside a buyer’s market. 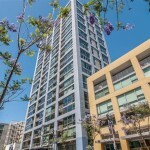 In addition, there were 14 other condos for sale at the same time at ICON. 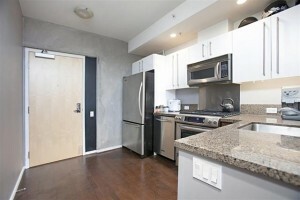 Why did the buyer select unit 403 and not any of the other competing condos? More importantly, how were we able to get our seller a FULL PRICE OFFER? This was another awesome experience for me and makes for a great real estate success story. 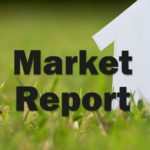 Per the statistics, the real estate market had lost a little bit of steam as far as number of units sold calculated on a monthly basis. That can be daunting when you are a home seller, especially when you realize there are 14 other units for sale as well in your building (pretend you are the seller at ICON for this example). The difference we made was having a great marketing system and implementing it with consistency and brilliance. In fact our marketing system absolutely obliterated the competition and we were able to close successfully for FULL PRICE for our client! 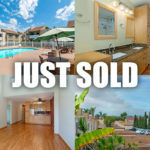 That’s right, the end result was a fantastic success and a sale for my client at 100% of the listing price! Starting day one, we deployed our plan and the impact was immediate. Lots of interest and viewing requests. We ended up generating multiple offers for our seller and they were able to select the best offer. A great place to be as a seller. Wesley handled a tricky sale for us. He was able to negotiate with a tenant, the buyer, and us (the seller) to make sure everything went smoothly. His rec for escrow and termite inspection save us a ton of money and he even made some of the requested repairs himself free of charge. Highly recommended. We’d love to see what we can do for you! Please don’t hesitate to reach out anytime. If you are thinking of buying, click here. If you are thinking of selling, click here. Keep in mind, we operate under a strict absolute no pressure policy so there is zero pressure, zero obligation, and zero hassle when you reach out to us!